Blue by you.The crowd, including a man with his back to the action. Victoria 8/356 in its second innings. 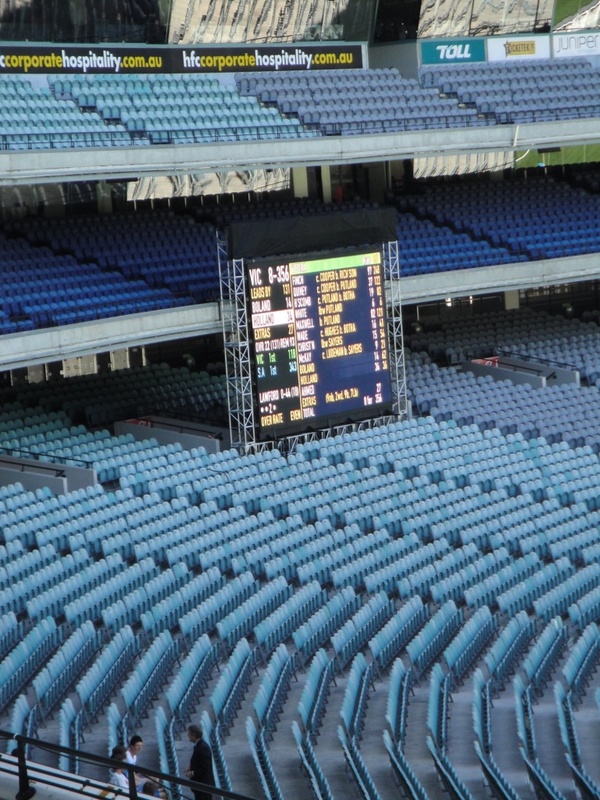 Victoria’s Jon Holland during his second innings of 43 runs. 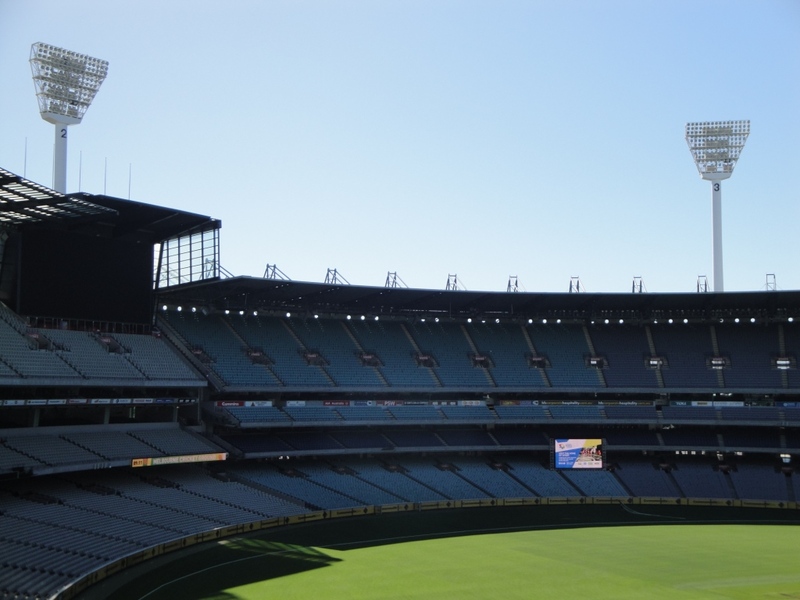 Lights, camera, but not a lot of action. The old visionboard is to the left. 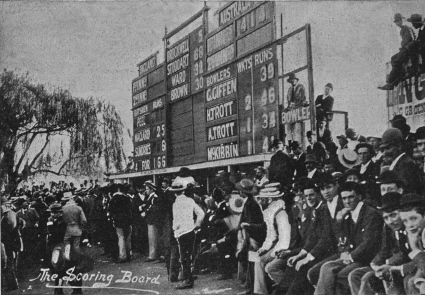 The scoring board 1895. 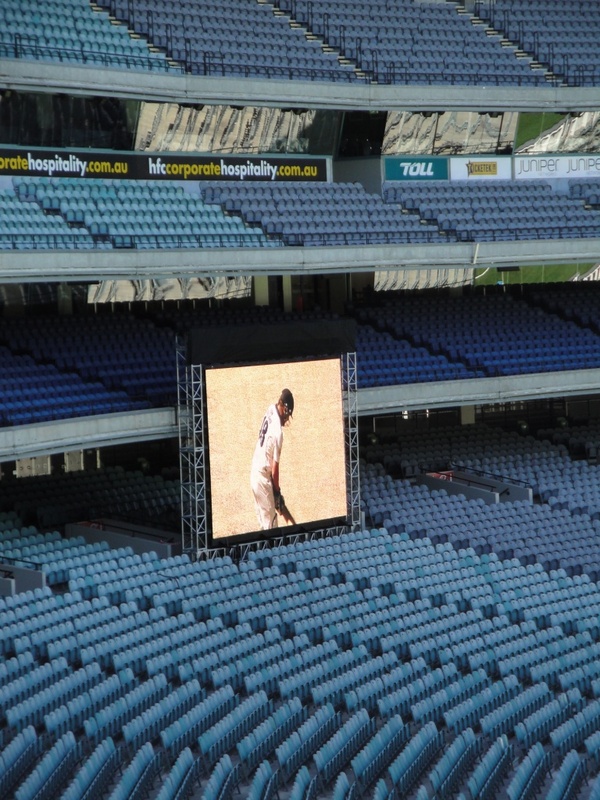 Image courtesy of the Melbourne Cricket Club.